Make your own Homemade Snack Food for Kids! Hope everyone is having a great Summer so far! I’m just wondering if your house is like mine and your cupboards are beginning to look a little bare? Boy kids can EAT can’t they!? The problem? It breaks the food budget, so all of those special frozen items and snacks I might buy sometimes on sale at the store are O.U.T. OUT! But then what does one do? 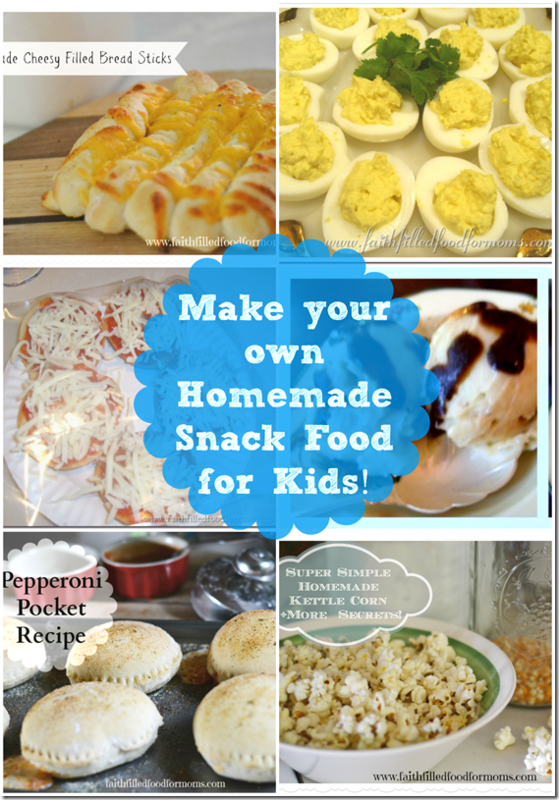 Make your own Homemade Snack Food for Kids! There are just some absolutes that I need to have on hand in my kitchen to make the below snacks..but many are the same and just used in different ways! Smoothies! 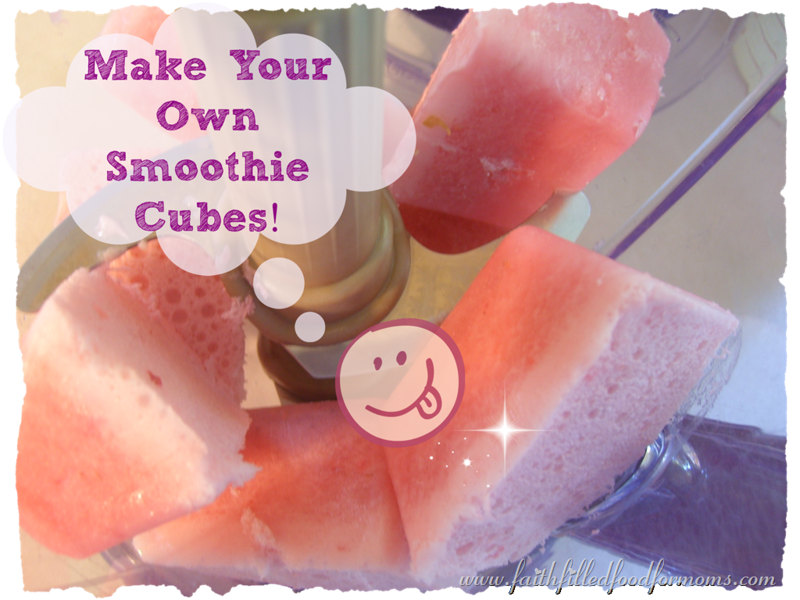 So make your own Smoothie Cubes to cut down on the mess and time it takes! YAY! Top your Ice Cream with Homemade Caramel Sauce! 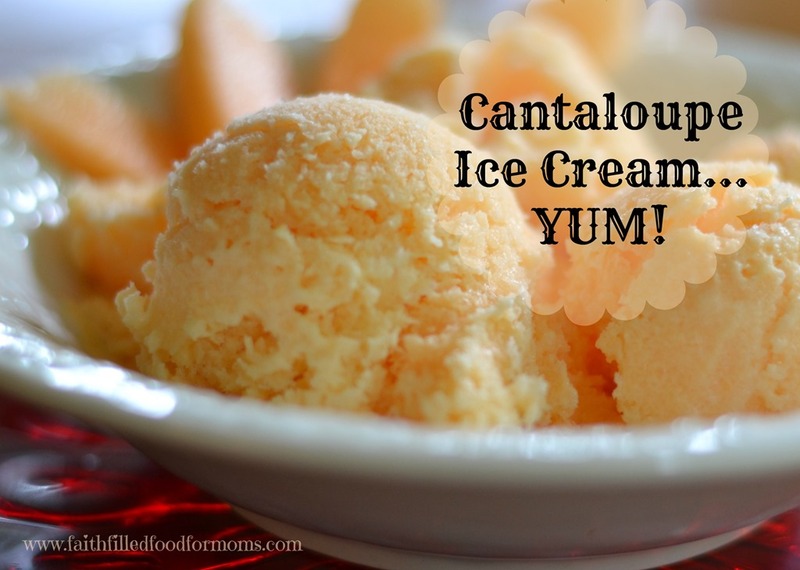 Cantaloupe – Make More DEELISH Ice Cream with this Cantaloupe Ice Cream recipe! No Ice Cream machine needed! Apples – Dip your apples in the Homemade Caramel Dip . Must have the goodies to make up some Chicken or Cheese Quesadillas at all times! Nachos – Oh Yum and so easy..Tortilla Chips with Cheese on top or go fancy and put Taco Meat and Veggies! Anything on a Stick is good! 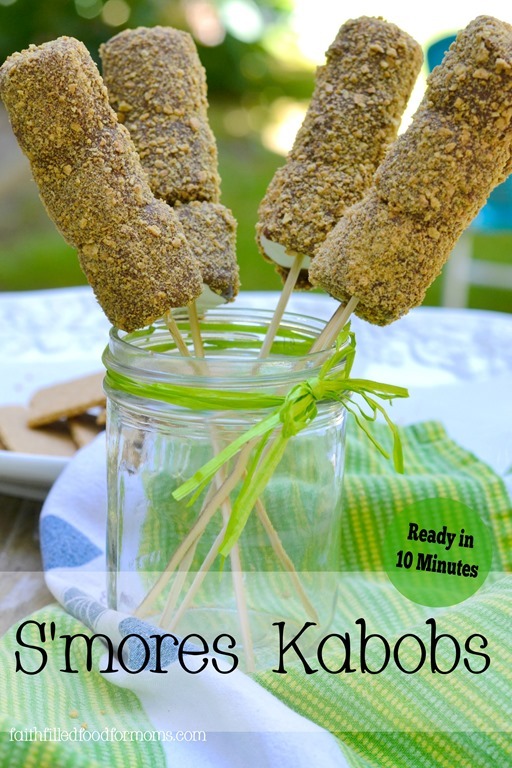 Try these super simple Sausage and Biscuits on a Stick. Just cut the sharp ends OFF! Everything just tastes a little better with a little dip to kids! Here are 4 YUMMY dips for some dippin FUN! Popcorn is a super simple and very inexpensive way to have a tasty snack. BUT you can also jazz popcorn up! Try this deelish Homemade Kettle Corn Recipe! It will be a hit! Deviled Eggs are super simple and packed with protein! The kids will love them. Make some Easy Homemade Bagel Bites! Yep! Just like what you buy in the stores! How is that for starters! Great ideas, Shari Lynne! I can’t wait to try them. By the way, I saw your cantaloupe ice cream. Ripe cantaloupe with vanilla ice cream is one of my very favorite treats. I bet the ice cream is amazing! Great snacks options. I would love it if you joined and contribute your awesome posts at my link party at City of Creative Dreams, starts on Fridays 😀 Hope to see you there at City of Creative Dreams Link Party. I love the idea of making banana ice cream- my three boys and foster daughter love love love bananas but sometimes they don’t last very long in the summer so this would be a perfect way to use up some extras before they go bad! Thanks for the ideas and linking up today! Yum, I love deviled eggs, there are several I would like to make for my kids here. Well, I am off to check out those homemade coffee recipes you are sharing! Yum! 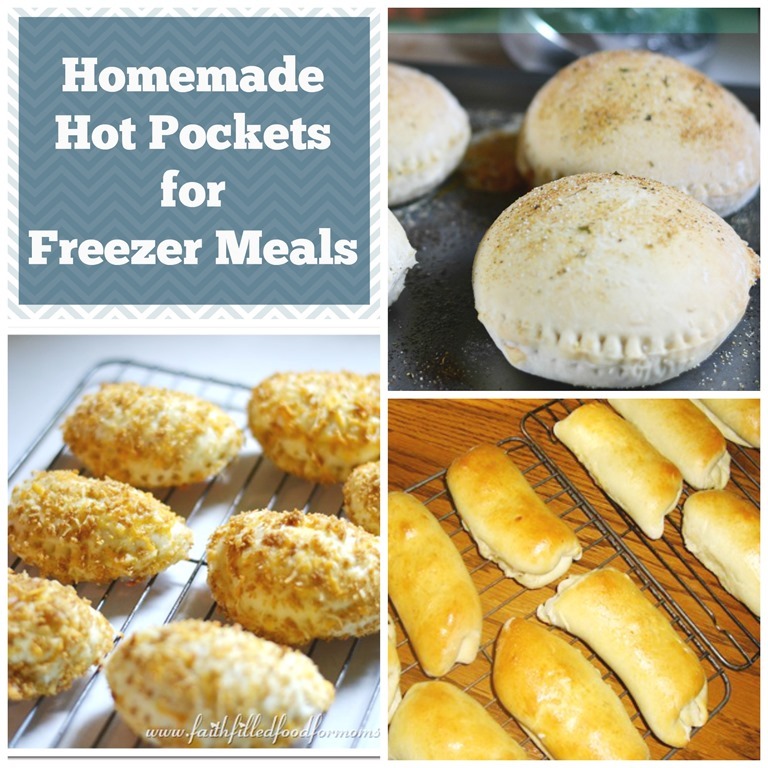 We love those hot pockets and I’m going to use your recipe to make my own! Loving this list! I’d just about run out of ideas – but I am so going to give that banana ice cream a try! This is just what I need to inspire me for back to school! Thanks for all of the great ideas! These are awesome snack ideas! Sometimes I feel like I never leave the kitchen so I love that these are “substantial” snacks that are sure to fill up my growing, always hungry boy! Thanks Shari! 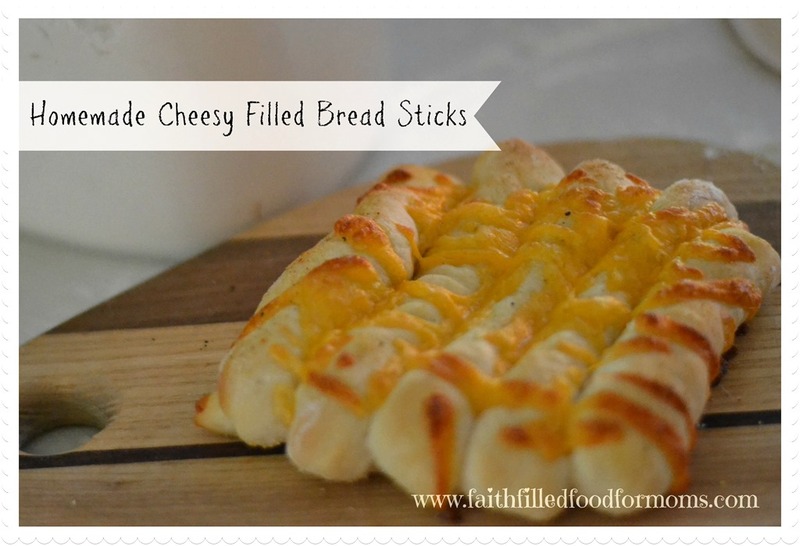 We are making those bread sticks as soon as I get my kitchen back! Husband and son will love them. Yum! Great snack ideas for kids who are always hungry. Thank you for Linking at the In and Out of the Kitchen Link Party. Hope to see you again next week. Thanks for the ideas! I can never find unique snacks that my toddler likes. I will try some of these! Thanks for all of these snack ideas!! My teenage boys are constantly in the kitchen looking for food and these snack ideas surely beat the junk my kids unwrap and swallow in one bite!!! Better for everyone! Love these ideas! Thanks for linking up with “Try a New Recipe Tuesday.” Hope you can join us again this week. Homemade bread sticks are the best. Thanks for posting. Hello from Wonderful Wednesday. My kids like to snack all day. When they are eating something healthy, I don’t mind. These are some really good ideas. 🙂 Thank you! Thank you so much for linking up to Merry Monday this week! I am sharing your post today on Pinterest We hope to see you next week for another great party! Have a great week! Dipping fruit in yogurt and freezing – so simple and I bet it’s super-yummy, too! We’ll have to give that one a try! Thanks for sharing at the Thoughtful Spot!